No members of the public had signed up to address the proposal. 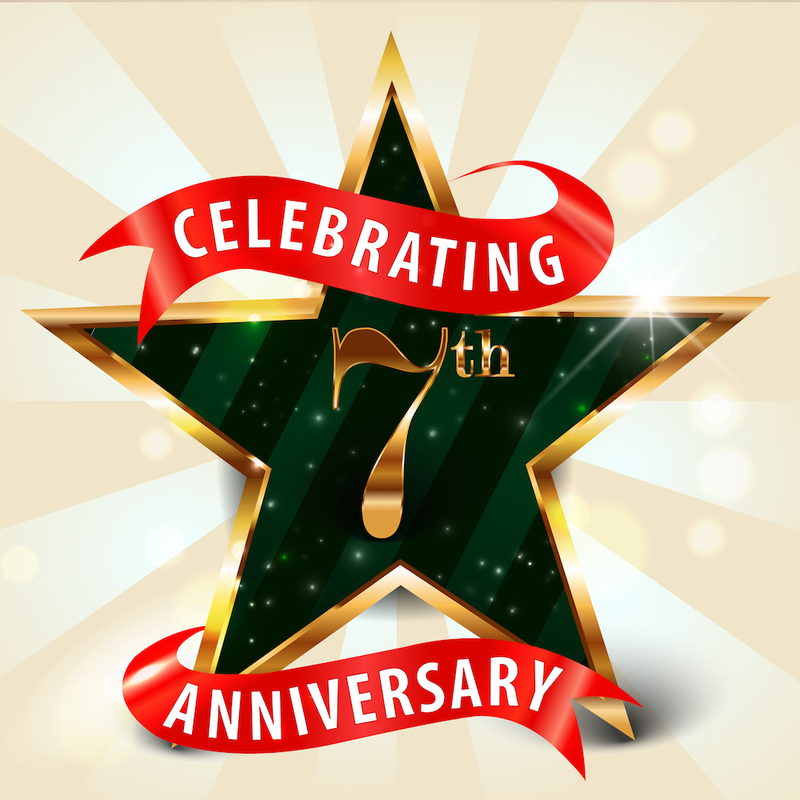 The Sarasota County commissioners had no questions or comments themselves. 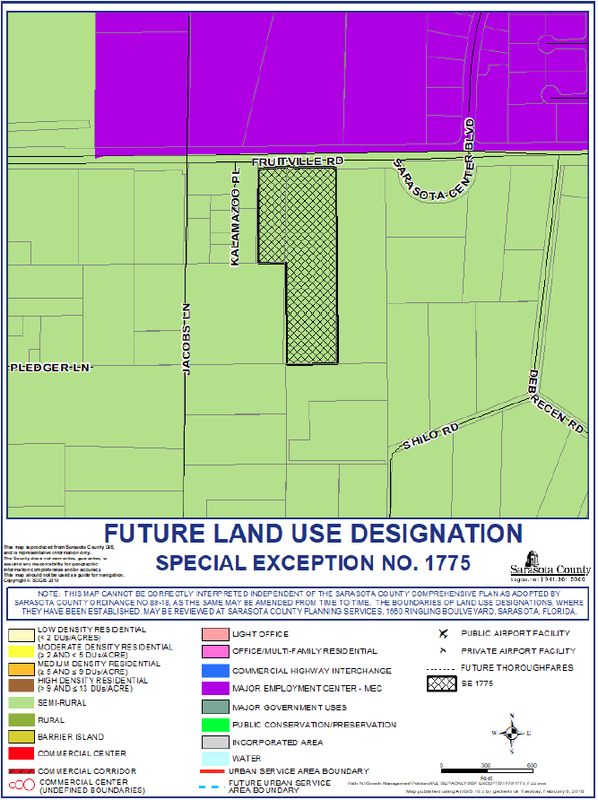 As a result it took only about 12 minutes of public hearing time before the board this week unanimously approved a special exception to allow a lawn and garden center on Fruitville Road property just west of the Sarasota Center Boulevard intersection. County Planner Kirk Crane explained that the applicants, Brian Sehlke of University Park and Bob Steele of Maineville, Ohio, plan a farm/produce stand, a plant nursery with landscape supply sales and an outdoor display area on the 12.55-acre site, which will comprise the parcels located at 7910 and 7952 Fruitville Road. Sarasota County Property Appraiser’s Office records show that Steele Financial Group Ltd. of Maineville, Ohio, owns the 116,531-square-foot parcel at 7910 Fruitville Road. Sehlke is listed in those records as the owner of the 7952 Fruitville Road parcel. Crane told the commission this week that Sehlke planned to purchase the Steele land if the board approved the request for the lawn and garden center. The proposal for the new facility includes eight buildings — including a caretaker’s residence — with a total of 109,138 square feet, of space, as well as 204 parking spaces and gravel driveways. Altogether, Crane said, 45.97% of the property will remain open. The binding development concept plan for the site shows five outdoor display areas of varying sizes, the written county staff report said. The applicant “intends to display plant materials, bulk materials, landscape supplies, fencing, sheds, gazebos, and retail or wholesale sales of agriculturally related supplies, including lawn and agricultural vehicles and equipment,” the report adds. The buildings will be used as greenhouses, storage areas and leased space for landscape contractors and maintenance companies, the report notes. That stipulation also notes, “Pallets, bags, or other containers that may be exposed to wind-blown rain shall also be covered by a waterproof tarp or plastic sheeting. Leaks and spills shall be swept up and disposed of in a manner consistent with federal, state and County rules. The property is on the south side of Fruitville Road. One of the parcels is 9.88 acres, Crane told the commissioners, while the other is 2.67 acres. Each of the parcels has a single-family home on it, he added. Those residences will be torn down to clear the way for the new construction, Crane noted. The written staff report also says a garage and barn on the two properties will be removed. A 50-foot-wide buffer will run along the eastern, southern and western boundaries of the site, Crane told the commissioners. A 10-foot-wide landscape buffer will be erected along Fruitville Road, he said. The minutes of a July 19 Neighborhood Workshop reported on comments expressed about traffic entering the site. Jamie Purcell, who rents a house on Kalamazoo Place — just west of where the lawn and garden center would stand — told Brian Lichterman of Vision Planning & Design in Sarasota — the agent for the applicants — that “the neighbors along Kalamazoo were not happy because they moved out there for a reason and now will have traffic in and out all day long and were concerned about the noise,” the minutes said. However, a second attendee, Richard Fischer, “explained the main noise is coming from Fruitville Road and the existing industrial uses to the north,” the minutes added. 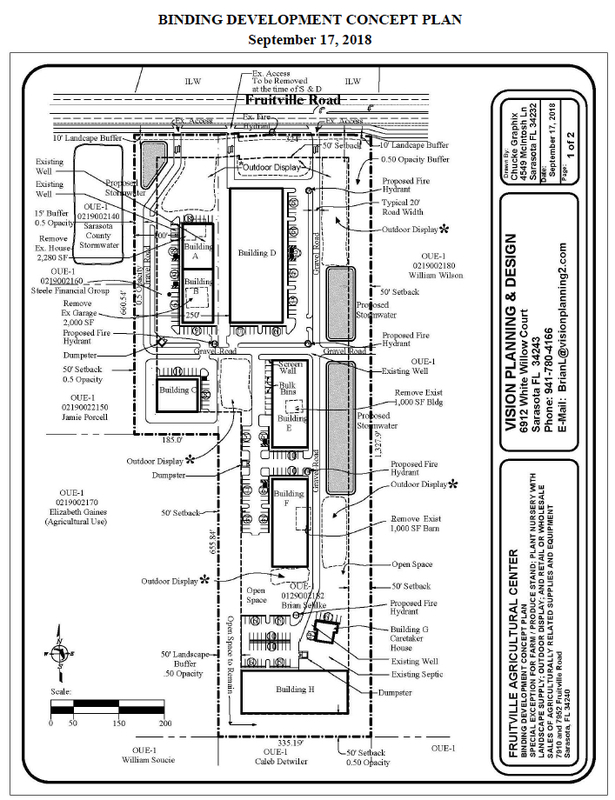 During his Nov. 28 presentation, Crane told the commissioners that the properties to the north of the project site, across Fruitville Road, are zoned Industrial, Light Manufacturing and Warehousing (ILW) and are home to industrial and warehouse uses next to the International Trade Center. Only four members of the public were present for the July 19 Neighborhood Workshop, the minutes noted. 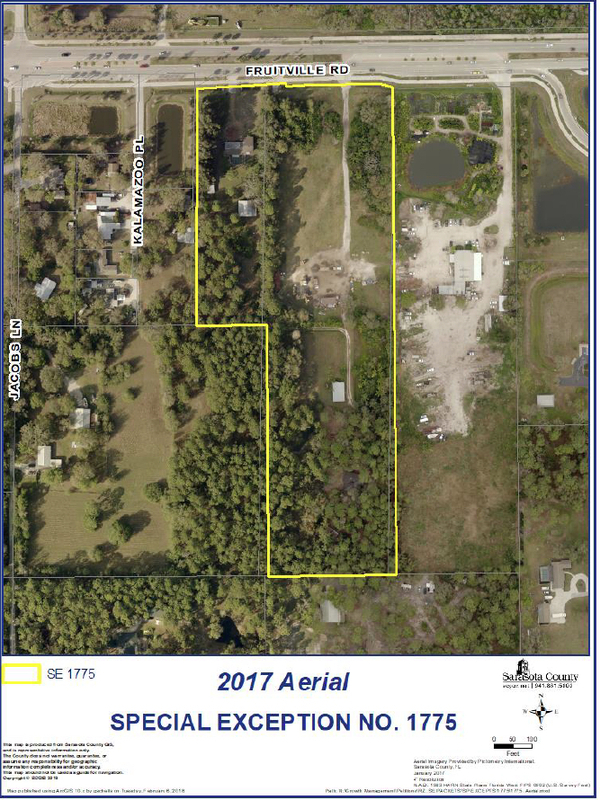 During the Nov. 28 commission meeting, Crane pointed out that the applicants’ property is zoned Open Use Estate 1, which allows one dwelling unit per 5 acres. The Future Land Use designation for the parcels is Semi-Rural, Crane added.